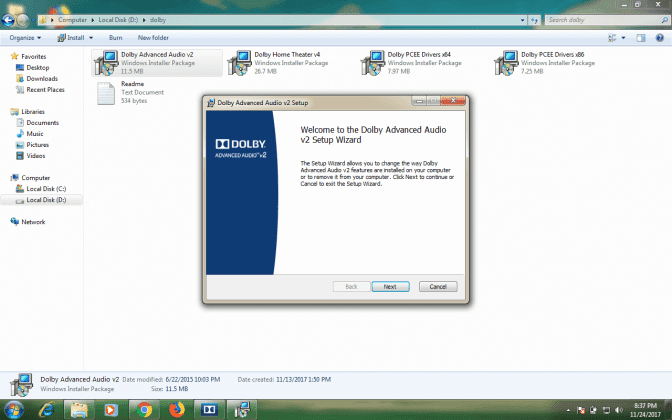 Dolby Atmos a surround audio Technology developed by Dolby Laboratories have launched their Windows PC, Dolby's surround sound encoding technology, introduced in 2012. In contrast to channel-based systems, audio objects can be positioned anywhere in 3D space. Atmos supports 128 audio tracks and up to 64 speakers in the cinema, while home theaters require at least a 5.1 system plus two "height speakers," resulting in a 5.1.2 system. The height speakers can be in or on the ceiling, or they can be "upward firing" units built into or placed on top of the front speakers. However, Dolby recommends four height speakers for the best realism (a 5.1.4 configuration). Transformers: Age of Extinction was the first Atmos Blu-ray movie. Dolby atmos is also available for Android and check out how to install dolby atmos apk on android. 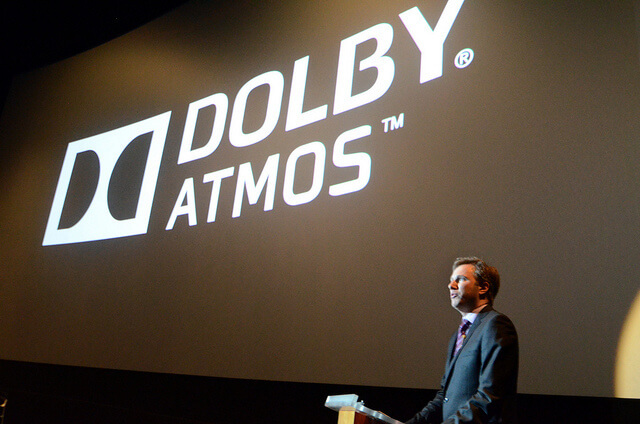 Dolby Atmos for pc is based on sound objects, unlike earlier systems that were based on the channels. This system supports up to 128 sound objects, each with its own sound characteristics. For each of them can be assigned any position in a three-dimensional space, a position that can vary over time. According to the position taken by the event at a given time, the audio processor will decide what will be the speakers that reproduce in order to generate a more realistic three-dimensional soundstage. With this system the audio involvement should be more comprehensive, for example, you can hear the rain falling from above, the thunder expands upon us as in the most classic of time or makes it seem more real than the roar of a helicopter. The system supports up to a maximum of 64 loudspeakers. After installation of dolby atmos advanced audio, you may need to restart your system to apply changes. once after installation successful dolby atmos perfectly works on your computer.